Universal salt iodization is the most effective and sustainable intervention strategy for the prevention, control, and elimination of iodine deficiency. This cross-sectional study assessed the per capita consumption and availability of adequately iodised salt in households, and the iodine status of infants 7 - 120 days old and their lactating mothers in the National Capital District, Papua New Guinea. Salt samples were obtained from households selected by simple random sampling. The mean daily per capita consumption of salt was 5.6 ± 1.5g. The mean iodine content in salt from households and trade-stores was 33.38 ± 18.04ppm and 44.20 ± 12.10ppm, respectively. Adequately iodised salt was available in 94.48% of households and in 100% of trade-stores. The calculated mean daily per capita discretionary intake of iodine was 186.93ug, which is below the 250ug recommended for lactating mothers. Casual urine samples selected by simple random sampling were used to determine the iodine status of infants and mothers. Urinary iodine concentration (UIC) was estimated by Sandell-Kolthoff reaction. Mean age of infants was 46.9 ± 28.2 days (95% confidence-interval 41.3 - 52.5 days). Median UIC of infants and of their lactating mothers was 253.5ug/L (interquartile-range 165.3 - 363.0ug/L) and 124.5ug/L (interquartile-range 93.0 - 161.0ug/L), respectively, indicating that iodine deficiency is not of public health significance among infants and lactating mothers. Eighty percent of the infants were exclusively breast-fed and 20% were mixed-fed. The median UIC for the exclusively breast-fed and mixed-fed infants was 251.0ug/L (interquartile-range 177.0 - 338.6ug/L), and 290.0ug/L (interquartile-range 147.1 - 425.5ug/L), respectively, indicating optimal status of iodine nutrition. The UIC of exclusively breast-fed infants was significantly (P < 0.001) higher than the UIC of their mothers. Spearman’s correlation test showed weak non-significant linear relationship (r = 0.118, P = 0.297) between UIC of the exclusively breastfed-infants and their mothers. 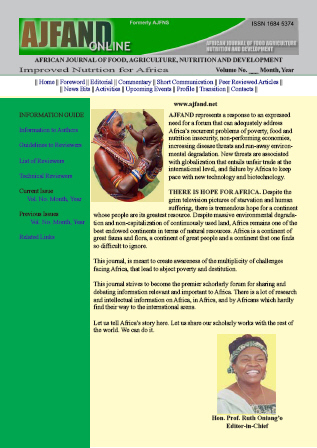 Despite success in the implementation of the universal salt iodization strategy in the National Capital District, mild to moderate status of iodine nutrition was prevalent in 33.8% of the exclusively breastfeeding-mothers, although their exclusively breastfed-infants were nourished with iodine. There is, therefore, a need to advocate strongly for increased dietary intake of iodine by lactating mothers. The findings strongly indicate the urgent need for an efficient, sustainable, and functional monitoring system to strengthen and improve on the achievements of the universal salt iodization strategy in National Capital District.